I’m sure many of us have bought into similar plans in one way or another and still paying for it after many years. It seems like it’s never ending. While there are many savings plan out there which many people put their money in to achieve certain savings goals and at the same time compound it, 25-year term for most endowment plans is too long for short term goals such as marriage, buying a house or even saving for a child’s education. 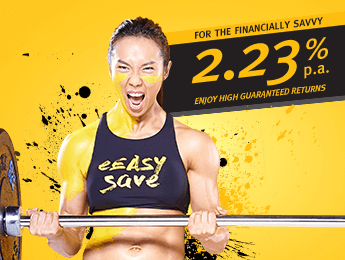 I recently found new savings plans by the Maybank Group’s Etiqa Insurance, EASY save series, which provides relative short term 6-year plan with guaranteed interest rate of 2.23% p.a. (with upfront premium discount). They also have longer term plans which offer higher interest. The good thing about it is that it is capital guaranteed so no matter what, you will get your initial savings back and will not lose a single cent. At this point, maybe some of you may have questions on how does it work, is it risky and does it seem too good to be true? I went on to probe further and got more information as much as possible. This is the simplest of all plans which pays out guaranteed 114% upon maturity after 6 years. We only need to pay for the premiums for 2 years (with option of one lump sum payment). There is also death protection of 105% of total premium paid throughout policy term and additional accidental death protection at 100% of premiums paid throughout premium term. There are other similar plans such as the one from FWD insurance which also gives 2.02% p.a.. Even though the term is shorter at 3 years, it is important to note that FWD’s credit rating is BAA3 which is lower than Etiqa’s A- rating. This seems like an enhanced version of eEASY save with higher interest for those who want to grow their money further. The capital is still guaranteed for eEASY savepro plan so we are assured that we will not lose our money. The same death protection and additional accidental death protection apply. Getting married requires some savings to begin with. Maybe you’re in your 20s and thinking of getting married in the near future. A 6-year savings plan can come in handy with guaranteed return and guaranteed capital. Maybe we can look at eEASY save’s S$45,000, 6-year plan which will pay out a guaranteed S$50,404 at maturity. Choose to pay the 1st year (S$30,000) and 2nd year (S$15,000) premiums in 1 lump sum to enjoy an upfront premium discount of S$843. ** Note : This plan has a premium payment term of 6 years but you only have to pay premiums for the first 2 years as this plan has an Automatic Premium Benefit that will pay the premiums from the 3rd to 6th policy year. The Automatic Premium Benefit will only take effect after we have received the first 2 years premiums in full. It’s that simple, just pay the premiums for 2 years and get 2.23% p.a. guaranteed return on your money in 6 years’ time. If you have some savings already, it will be good to park it somewhere to use for your marriage later. I will think it is good to save our money which is critical for future use. This will be a good financial planning consideration where our money is assured to be safe and is not left in the bank earning close to no interest. A normal savings account only earn us about 0.05% interest which is exceptionally low. Another important life goal is saving for your child’s education. Some of us may have bought endowment plans for this purpose as well. However, we will realise by now that endowment plans are not capital guaranteed and the investment returns are not high too. Many times, we will be locking our money for 25 years and getting only about 3% projected returns. 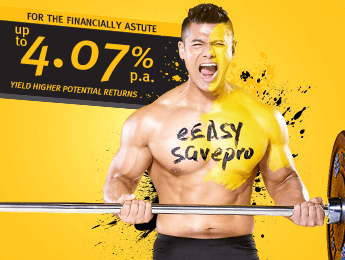 I’ve checked Etiqa’s eEASY savepro 7-year plan, which we can get 3.14% p.a.. The investment return is projected but your capital will be guaranteed. Looking at the S$10,000 plan, we can choose to pay the 1st year (S$5,000) and 2nd year (S$5,000) premiums in 1 lump sum to enjoy an upfront premium discount of S$225 with a guaranteed maturity return of 0.33% p.a..
** Note: This plan has a premium payment term of 7 years but you only have to pay premiums for the first 2 years as this plan has an Automatic Premium Benefit that will pay the premiums from the 3rd to 7th policy year. The Automatic Premium Benefit will only take effect after we have received the first 2 years premiums in full. This can be slightly complicated so let me summarise. For the plan, we will pay S$5,000 every year for 2 years. Choose to pay both years in 1 lump sum to enjoy upfront premium discount of S$225. The plan will mature at the end of 7 years. The maturity yield is listed on their website as 3.14% p.a. which is a projected value. The maturity value is the amount we see under the “projected at 4.20% investment return”, S$12,136. 4.20% investment return here refers to the investment return on the participating fund while 3.14% p.a. is the projected return to the customer. The maturity value is also calculated using compound interest of the projected 3.14% p.a. interest. They have other plans with premium sizes of S$10,000, S$30,000, S$50,000, S$80,000 and S$100,000. It is quite flexible to plan for our life goals with some certainty that we will not lose our money. By now, some of us may be concerned of whether the plans can deliver its projected returns. This applies for the eEASY savepro plan. Etiqa delivered its best performance for its participating life insurance funds, at a net investment return of 10.99%, which is three times that of 2016. Learn more about its Participating Fund Update for 2017. Note: Article has been edited for brevity.